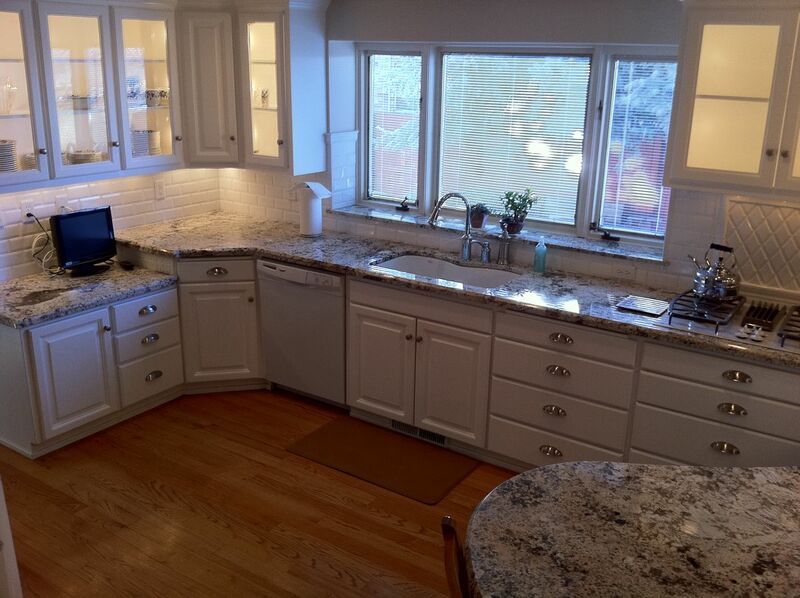 BJ took these pictures of a kitchen that we installed a couple of years ago. The granite is 2 cm Delicatus with a 1 1/2" Beveled Edge Detail. Handsome counters! I like the curvy seating area. 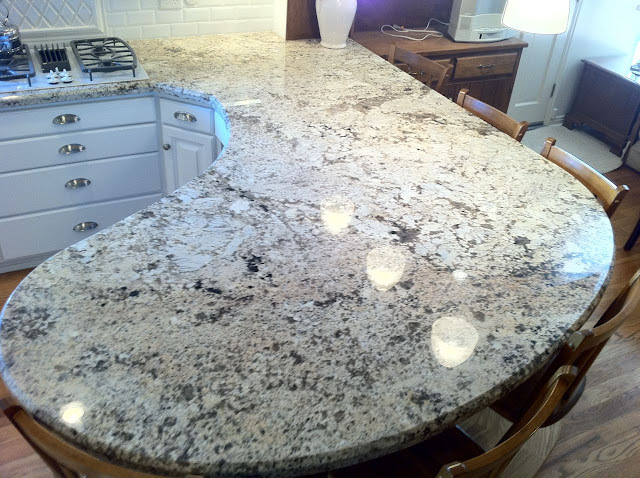 I always wonder how this granite got it's name? 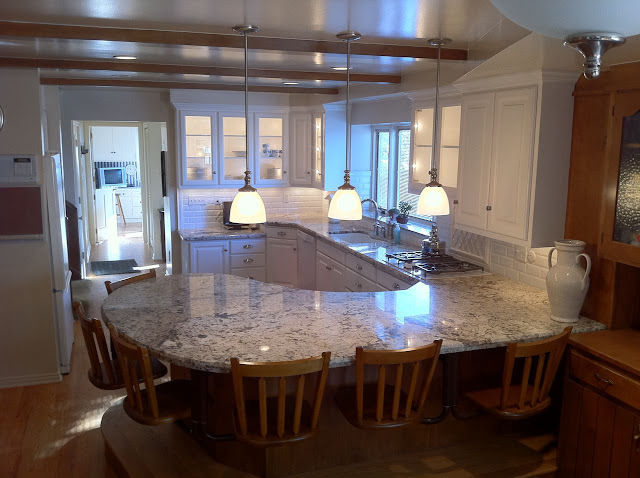 It always strikes me as bold, not delicate, and I think it needs quite a large counter so you can really appreciate the strong "patterns". I don't think the name suits the color either. Some suppliers call it 'Kodiak'. I think that's a more fitting name. 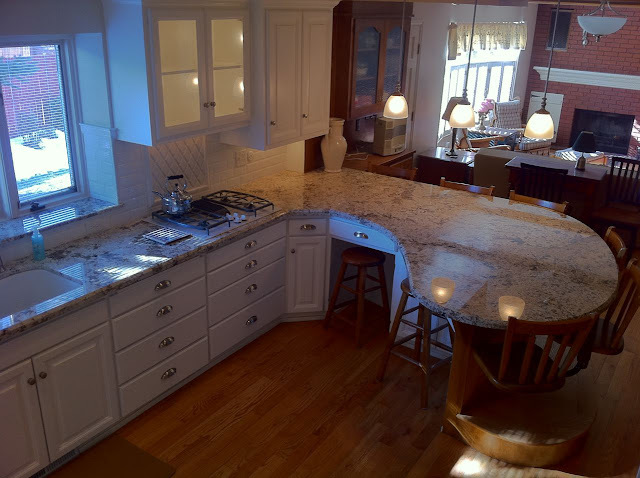 Granite Countertop in the kitchen is a striking comeback these days, your kitchen is attractive and luxurious. 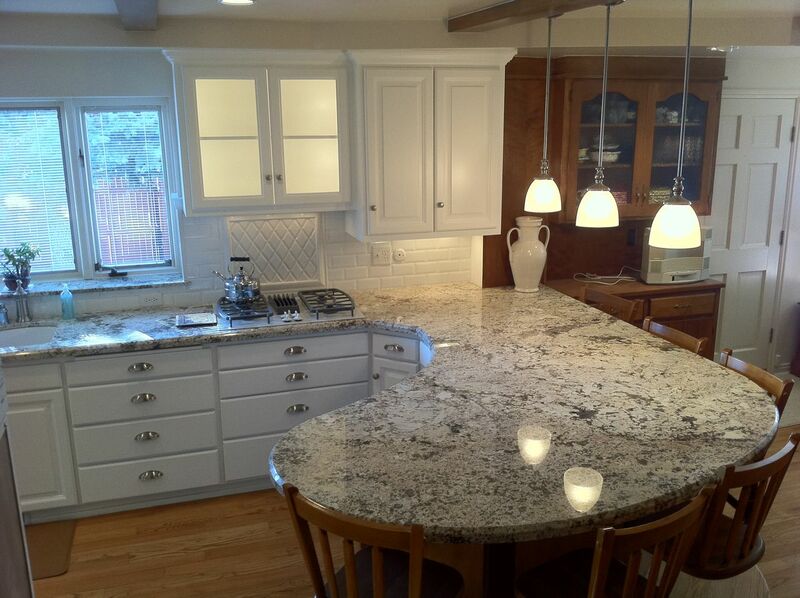 When it comes to getting granite, you cannot go wrong with Kashmir Gold Granite. 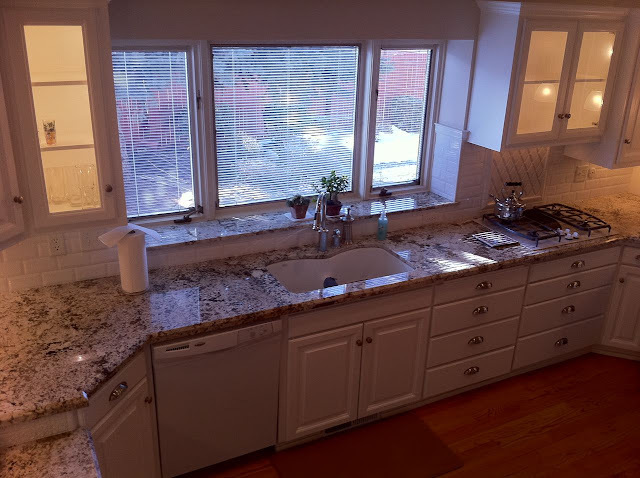 The best part about this is that you can use either Kashmir gold granite tiles or countertop slabs. 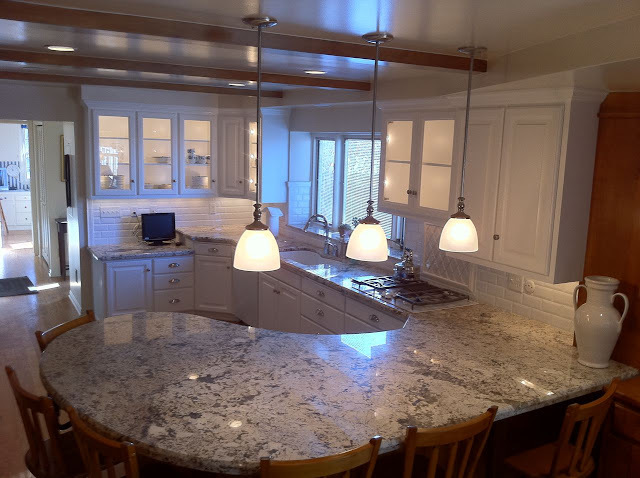 Being that it is granite, you will have a bunch of different options that you can choose from. 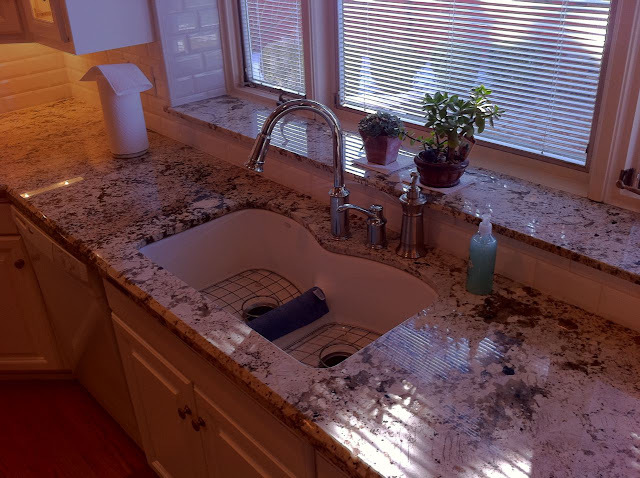 Just know that Kashmir gold granite is a great style to choose as it gives any room a unique look and feel.